AI-01W One Strip AI Splice Tape made for Auto Insertion Machine. This AI One Strip AI Splice Clip Tape is made from imported high-strength, High Viscosity AI Splicing Tape. Tailor-made for AI machine use to set in the picking method. 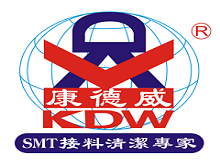 KDW also provide Special specifications according to requirements production. 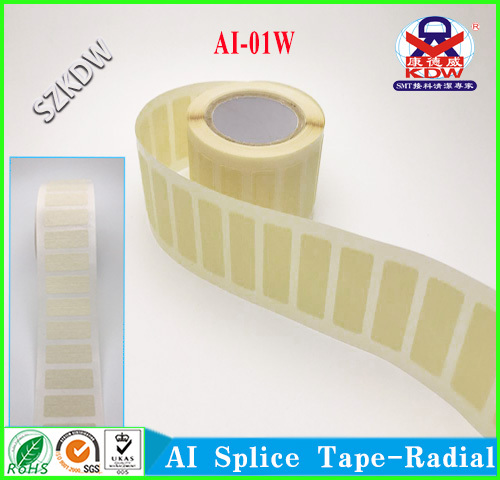 KDW AI Splice Tape Roll provides best solution to AI machine production process. Looking for ideal Axial Component Splice Tape Manufacturer & supplier ? We have a wide selection at great prices to help you get creative. All the One Strip Splice Tape are quality guaranteed. We are China Origin Factory of AI One Strip Splicing Tape. If you have any question, please feel free to contact us.